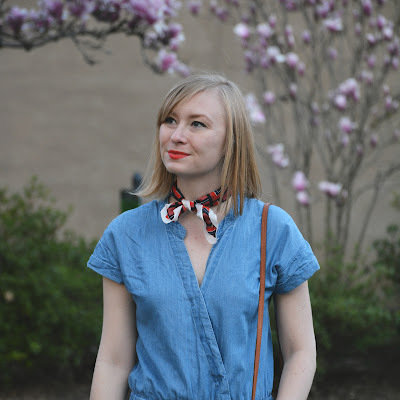 On this week's installment of Philly Bloggers is Laura from Laura Aime Vous and Brittany from Lizzie and Jane! Both of these ladies have incredible blogs and I love all of their fall looks, check out the interview below to find out more about their blogs and be sure to check them out afterwards! How would you describe your style and blog? My style is pretty casual. I enjoy mixing unique pieces that I find with classic staples. Sometimes I'l find myself in a very traditional outfit, but I also own some pretty interesting pieces that I've acquired over the years. I often like to mix the two together to get a one-of-a-kind look. I am 6 feet tall so I like to showcase looks that accentuate my height and take advantage of my long legs. I also enjoy rich colors and gravitate towards deep, rich shades. 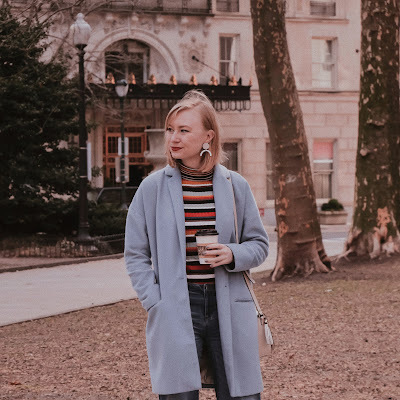 My blog, Laura Aime Vous, is my personal style log as well as a place for me to share my inspirations, current loves, and tidbits about Philly! I try to write in a conversational style and treat my site as if I as if I were talking to an old friend. I also like to feature local Philadelphia fashions that some readers might not have found otherwise. How does your style change once the weather switches up on us and it's suddenly fall? I think the main way my style changes is the weight of the fabrics I wear. For me, fall is all about layering. I will pull out my thicker fabrics such as wool and flannel, but layer them with my lighter weight thermals and turtlenecks to create some of my favorite looks. I also am a sucker for a good vest and fall is the perfect time to pull them out. Since I always tend to gravitate towards richer colors, I am able to mix in some pieces from my summer wardrobe into my fall looks, especially in September and October when we have some warmer days. I also pull out all my closed toe shoes and put away my sandals until the next year. Describe your perfect pair of fall boots/booties. I have been lusting after a pair of high over-the-knee black suede boots for a long time. Unfortunately I have to get a pair of VERY high boots since a lot of OTK boots tend to hit me in an awkward spot since my legs are pretty long. Once I find that magical pair of boots I will be purchasing them, let you know if you have any suggestions! What's your go-to coat option for the chilly weather? In the fall I love wearing my Barbour Quilted Jacket in Navy Blue. It's the perfect weight for that not too-cold but you still need a jacket weather. I also will use my trusty jean jacket for a more casual look and get out my J.Crew royal blue peacoat when it starts to get even colder. What's your favorite fall piece for your wardrobe? That's a hard question. I think my favorite fall piece is my black suede wedge booties from Vince Camuto. I got them at Nordstrom Rack for about $30 last winter and they just dress up so many looks. They hit really low on the ankle so they're worn best with ankle jeans or a pair of tights. Philly always has something going on! What are your favorite fall activities in the area? 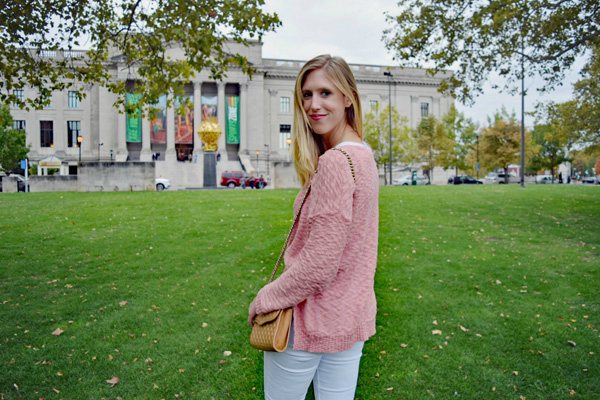 There are several awesome activities in Philly during the fall! In late September I liked to check out the Oktoberfest at Frankford Hall in Northern Liberties, the Pennsylvania State Penitentiary has a great haunted house, Rittenhouse Square does a great farmers market every Sunday, Head of the Schuylkill river is Philly's biggest regatta which is cool to check out, and Longwood Gardens (just a short drive from the city) is currently running a really cool Nightscape display! There's always awesome activities in the area, I usually follow visitphilly.com on Twitter to make sure I'm in the loop. I would describe my style as casual chic with a hint of boho and sometimes glam. 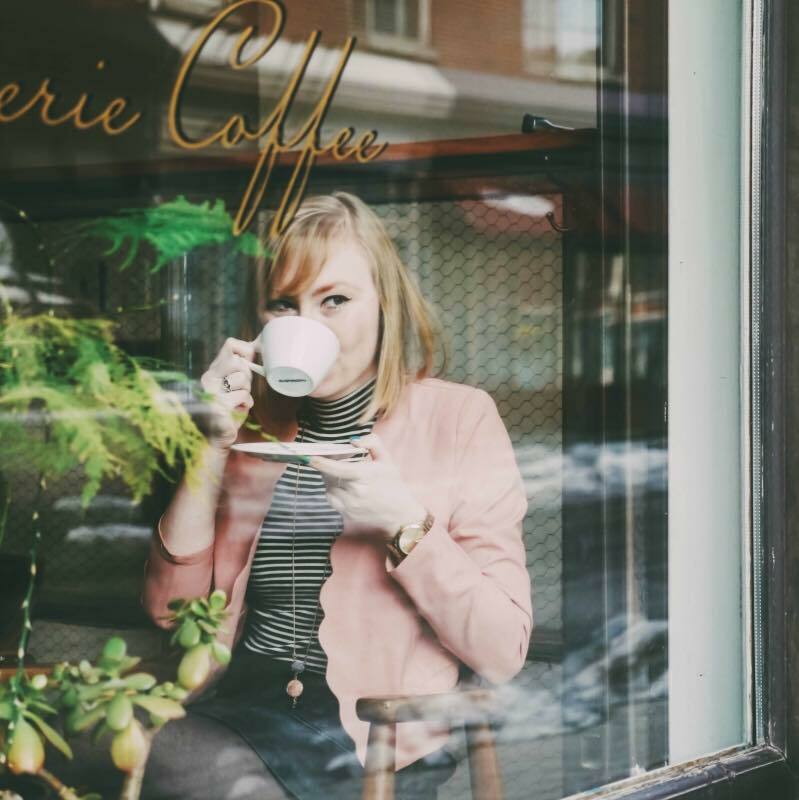 My blog, Lizzie and Jane is a place where I can document my personal style and also provides a platform to talk about the things I love, (fashion, food, travel, and literature) and hope that you do, too! I also share pictures of my 9 month old daughter, Amelia! I'm a big fan of layering (as most northeast coast girls are!) and I really look forward to the temperatures dropping a bit come the end of summer. I feel most "me" in the fall. I love the color palette, the fall activities such as apple & pumpkin picking, and boots and booties are my favorite shoe style. It's so hard to choose! I definitely prefer a lower or block heel as I'm all about comfort but I'm not sure I have a favorite pair! I think every girl needs a good ankle bootie, knee high boot, and over the knee boot! This season, though, I've really been wanting a navy pair of ankle booties with a cute block heel! I love the cocoon coat! I have one in gray that I wear all the time. The over sized fit makes me feel very glam while wearing it. This year I want a blush pink coat- it will go with everything! 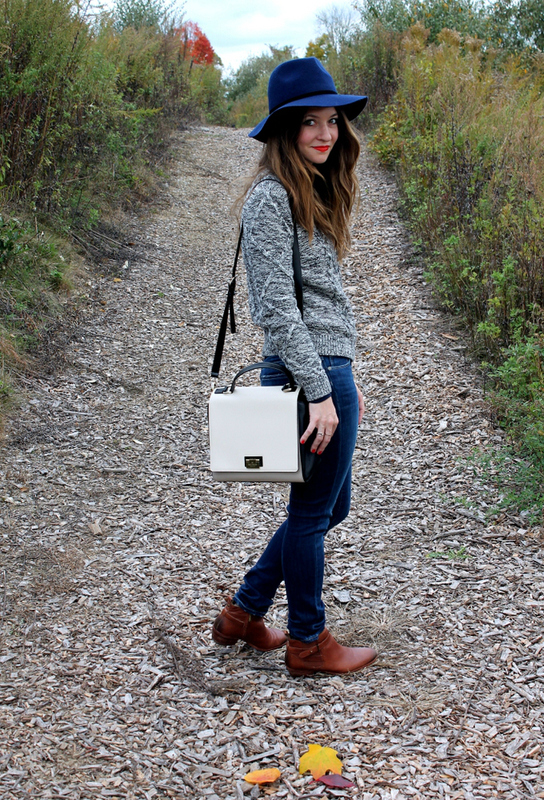 My favorite fall piece is something I added this year- my navy wool panama hat! It's so versatile and the navy is a nice change from the typical black wool hat (though I love my black wool floppy hat, too!). I live in the suburbs and though we go into the city a lot, my favorite fall activities include taking trips to our local farm (Linvilla Orchards is closest to us) and picking apples, pumpkins, and coming home to bake! 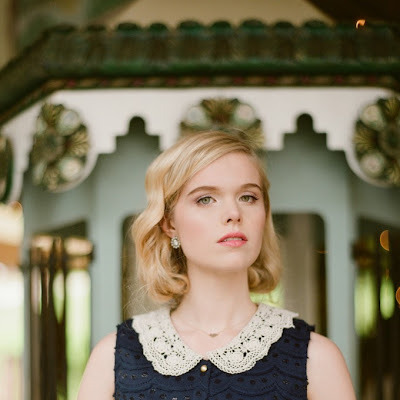 There are so many styling tips that I can take from both of these lovely bloggers! Especially with how they both have styled vests! Incorporating vests into my wardrobe is one of the trends I've been wanting to try this fall. I also love how both of them aren't afraid to play around with color even during the fall. Loving that pink sweater Laura is wearing and Britt's navy hat! 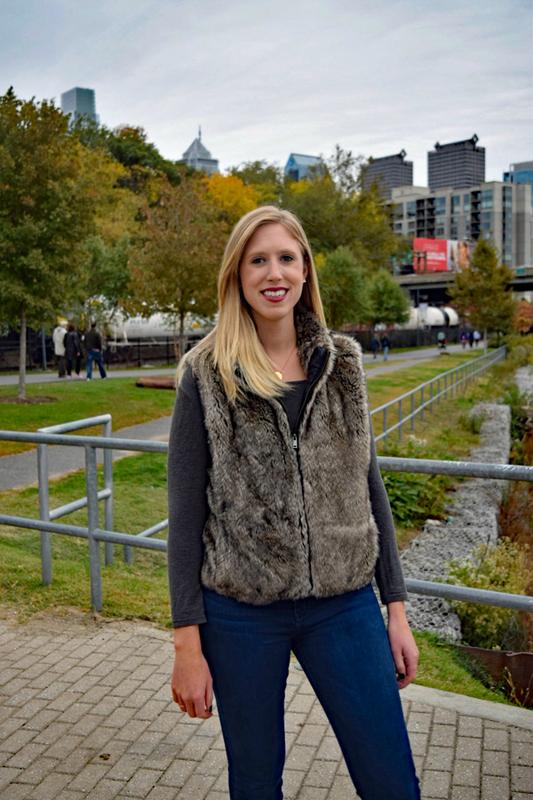 Be sure to keep an eye out for more blog posts featuring Philly bloggers and more Philly posts. I love philly, so many pretty places!! I honestly enjoyed this post! Beautiful place and gorgeous ladies!!! Absolutely great post dear! Hope you have a lovely day.